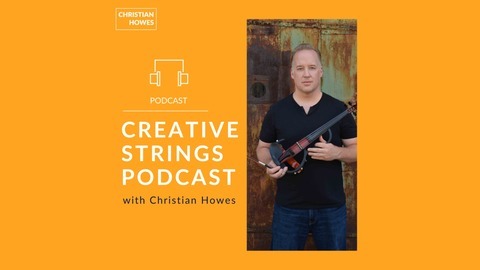 Christian Howes presents the Creative Strings Podcast: Exploring intersections between creativity, music education, string playing, DIY music business, and culture Since 2011, performer, educator and composer, Christian Howes was voted #1 in the Downbeat Critics Poll (“Rising Stars/Violin”), named among the top three jazz violinists in the JazzTimes critics poll, and nominated for Violinist of the Year by the Jazz Journalist Association. He received the Residency Partner Award through Chamber Music America for residencies in school orchestras, earned a USArtists grant through the Mid Atlantic Arts Foundation, and was invited by the U.S. State department to teach and perform as a cultural ambassador in Ukraine and Montenegro. His 2013 release on Resonance Records, “Southern Exposure” earned recognition in the New York Times, Wall Street Journal, Downbeat, Jazz Times, as well as a six-night run at Lincoln Center. His 2015 release, “American Spirit” was named among the Best Jazz Albums of 2015″ by the Huffington Post. 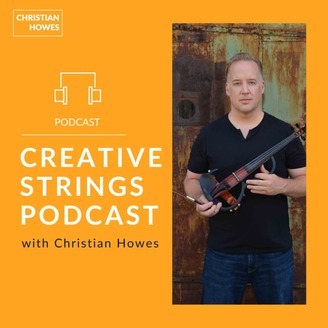 Howes is the founder of “Creative Strings“, a 501(c)(3) non-profit organization with a mission to expand music education through the creation of online curriculum, an annual summer conference, and dozens of visits to schools annually teaching improvisation, contemporary styles, and related subjects. He endorses Yamaha violins and D’Addario strings.